It’s time for the final games of this basketball season, which means time for lots of basketball watching and cheering on our favorite team here in KY! 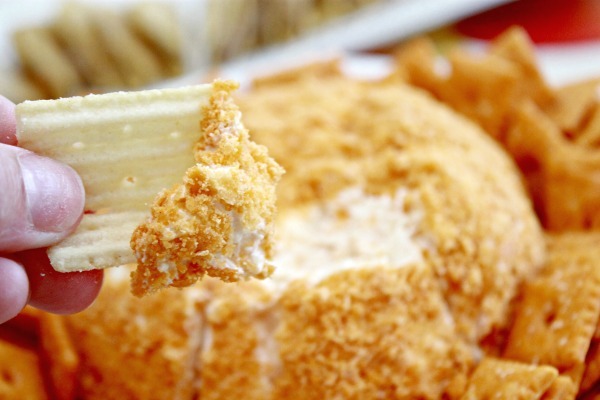 Time to gather your friends, root for your favorite basketball team and of course, eat! 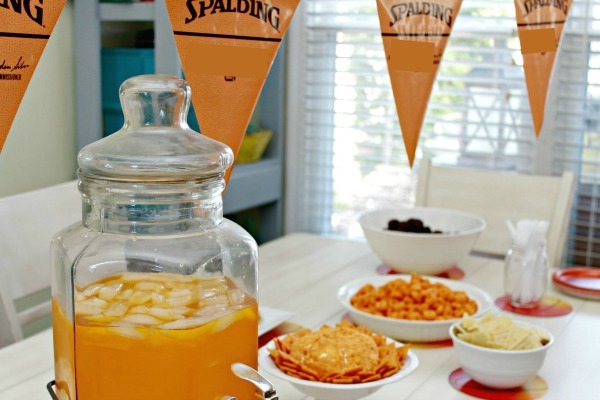 Since there are so many amazing teams playing in the tournament, I wanted to keep our basketball watching party pretty neutral, and basketball themed, so I went with lots of orange! I hope you are rooting for your favorite team and hopefully you can throw a party of your own! 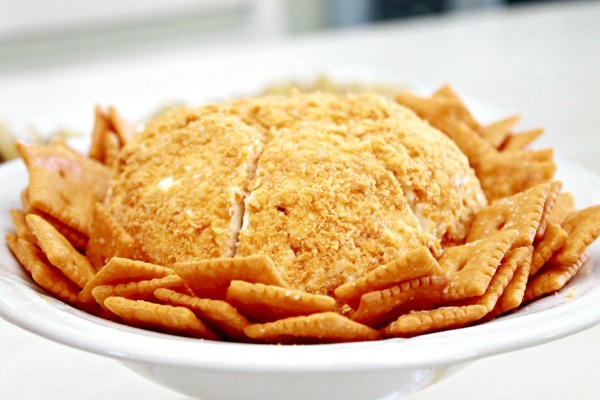 One of my favorite things to make during basketball season is my favorite Cream Cheese Apricot Cheeseball. I love to shape it like a basketball, which of course makes it more fun, right? 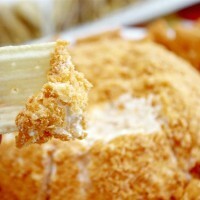 Mix first 3 ingredients together well and store in refrigerator for at least 2 hours. Remove from refrigerator and roll into a ball. Roll in crushed Cheez-Its. Store in refrigerator until ready to serve. Can be made a day in advance. 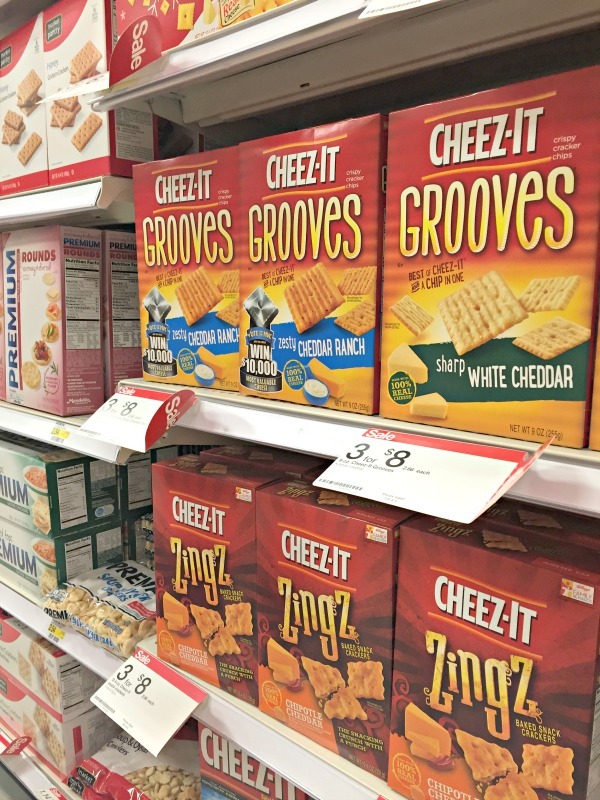 I also grabbed somoe of the new Cheez-It Grooves and Cheez-It Crunch’d to serve…they are so amazing! I found them in the cracker aisle at Target…on sale I may add! You can grab a coupon using your Target Cartwheel App, HERE! I had so much putting this party together. 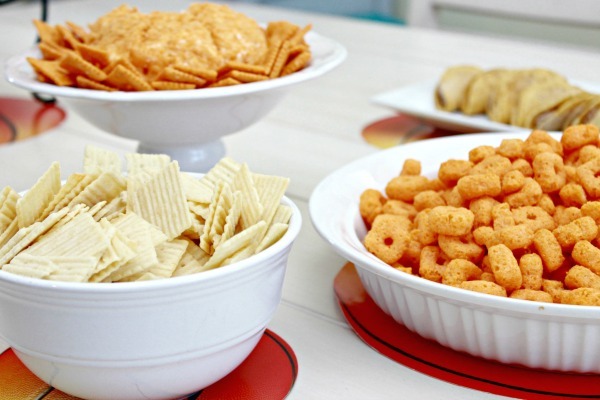 It’s so easy to put a small party together…you don’t have to have too many thrills of a full meal…just some fun snacks and drinks! I used some inexpensive basketball themed cups, plates, cut outs and a cute banner. 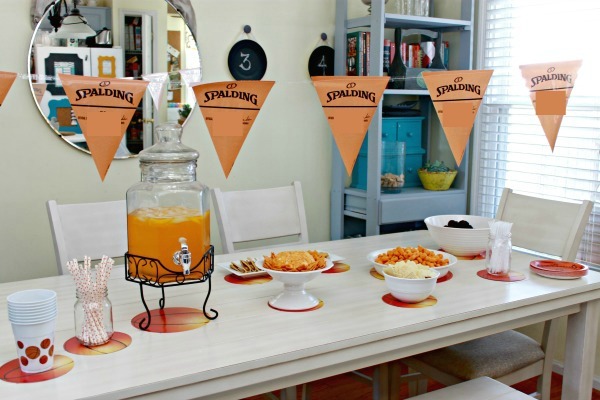 I also made some fun orange punch and just laid out several snacks that can be eaten by hand while enjoying the games! So, what are your plans for the watching the games? Any fun recipes you make for them? 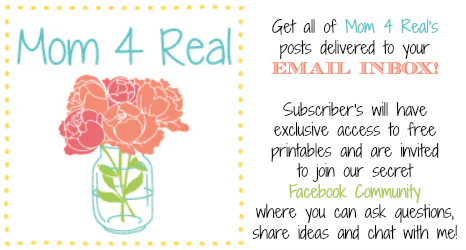 « Scentsational Spring Scents – Bring Spring Into Your Home!